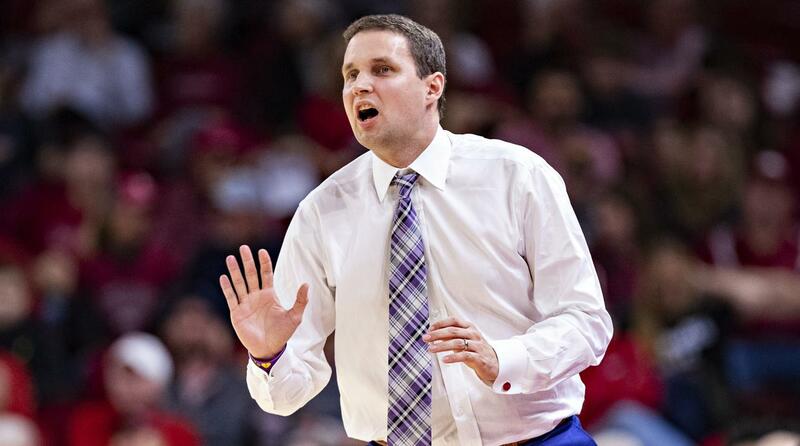 Home » Basketball » LSU Basketball Coach Will Wade Reinstated, but for How Long? After more than a month away from LSU, the university reinstated head basketball coach Will Wade on Monday. The second-year coach had been suspended by athletic director Joe Alleva since March 8 for not answering questions regarding any possible involvement with his relationship with runner-agent Christian Dawkins. Dawkins is one of several that were arrested and charged with bribery and corruption, that included with four assistant coaches and two shoe executives. Wade is alleged to be on an FBI wiretap discussing then-recruit Javonte Smart. Wade refused to meet with university officials about the matter unless the NCAA was not part of the meeting. He said in a statement that he was happy to be back with the team. Wade is not free of the scandal. He, along with Arizona’s Sean Miller, who was also on an FBI wiretap, may have to testify at Dawkins trial. A US district judge in New York is expected to rule this week on whether defense attorneys can subpoena the two coaches. There is also the possibility that Wade could be charged as well, though that seems unlikely. The FBI and US attorneys have focused their investigation on those that took or handed out bribes, and so far no evidence exists that any head coach participated in that part of the scandal. If Wade is found of any wrongdoing, however, the school could elect to fire him for cause, much like Louisville did with Rick Pitino. For now Alleva said in a statement that they were comfortable bringing Wade back. Wade was hired in 2017 to restore some consistency to an LSU program that had not lived up to expectations. In Wade’s first year the team went 18-15, and this year followed with a 25-5 record. When Wade was suspended just before the team’s final game against Vanderbilt, assistant Tony Benford was named interim head coach. The team clinched the SEC title, but lost in the first-round of the conference tournament to Florida. In the NCAA Tournament the team made it to the Sweet 16 before losing to Michigan State. Now Benford is rumored to be a candidate for the head coaching job at Texas A&M. Wade might also be losing five of his players. In addition to Smart, Tremont Waters, Naz Reid, Skylar Mays and Emmitt Williams have all declared for the NBA Draft. Smart is expected to be picked, but the other four could be returning to the team next year.